InterContinental Hotels Group (IHG) has signed a management agreement with Lotus Trans Travel Private Limited to establish a four-hotel portfolio under the Holiday Inn banner in India. Slated to open between 2020 and 2023, Holiday Inn Bodhgaya, Holiday Inn Kushinagar, Holiday Inn Gorakhpur and Holiday Inn Shravasti together will add over 450 rooms to IHG’s system and establish the company’s presence at the Buddhist tourism circuit. As a part of the agreement, Holiday Inn hotels in Bodhgaya, Kushinagar and Shravasti will be refurbished and upgraded, to ensure the portfolio is fully representative of the Holiday Inn brand globally. Holiday Inn Gorakhpur will be a new build hotel. Bodhgaya in Bihar, Gorakhpur, Shravasti and Kushinagar in Uttar Pradesh are some of the main pilgrimage centres for Buddhism in India and together form a part of ‘The Buddhist Circuit’ in the country that drives a lot of religious visitors and international travellers to these states. With this signing, IHG is uniquely positioned as the first international operator to have a presence in the Buddhist Circuit of India. Commenting on the announcement, Sudeep Jain, vice president, development, South West Asia, IHG, said: “We are excited to be collaborating with Lotus Trans Travel Private Limited, who have a strong presence and a deep market understanding of Buddhist destinations in India. 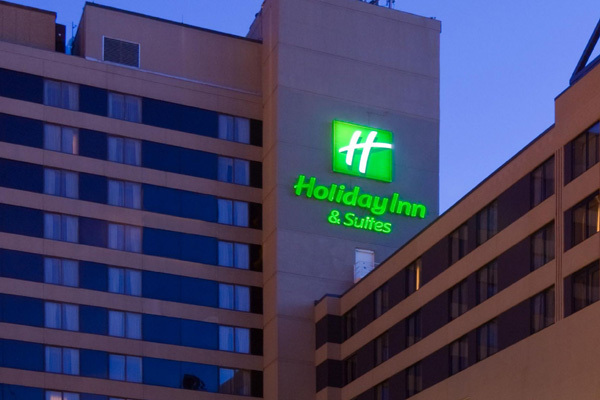 This signing adds to the rapidly growing presence of our well-recognised Holiday Inn brand across the country. The Holiday Inn brand family is IHG’s growth engine in India, and this agreement is in line with our development strategy for the South West Asia region. He added: "The Buddhist Circuit is an important landmark for religious tourism and is being further established, as a result of the government’s efforts to develop and promote the route. This presents a great opportunity for us, and we look forward to catering to the growing number of tourists’, and the local demand for F&B and banqueting requirements."